In terms of feature packed backpacks for travel and daily commuting, few can come close to matching up with the iBackPack. This bag – which is currently seeking crowdfunding on Indiegogo – was designed from the ground up to fit into our modern lifestyle as seamlessly as possible. 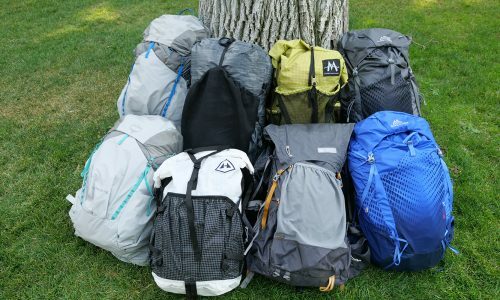 The pack comes with a host of welcome features that will not go unappreciated by anyone who travels with any sort of regularity or has to lug around a variety of gear with them in their daily lives. At first glance, the iBackPack looks a lot like any number of similar bags that you’d see travelers carrying with them through an airport, on the subway, or at the coffee shop. It has a stylish design and is made from good looking, durable, and water resistant fabrics. The pack also comes equipped with high quality zippers and buckles, and even has a rubber base to further protect its contents from moisture. It’ll even come in a variety of colors and patterns, although exactly what the final models will look like will be determined as the crowdfunding campaign continues to unfold. But closer inspection shows just how this product differentiates itself from its competitors. For instance, it comes equipped with built-in lithium-ion batteries and four waterproof USB ports to help keep all of your gadgets powered up while on the go. The iBackPac also has an integrated Bluetooth speaker for wirelessly listening to music and podcasts, as well as a GPS tracking system for locating the bag should it ever get lost or stolen. 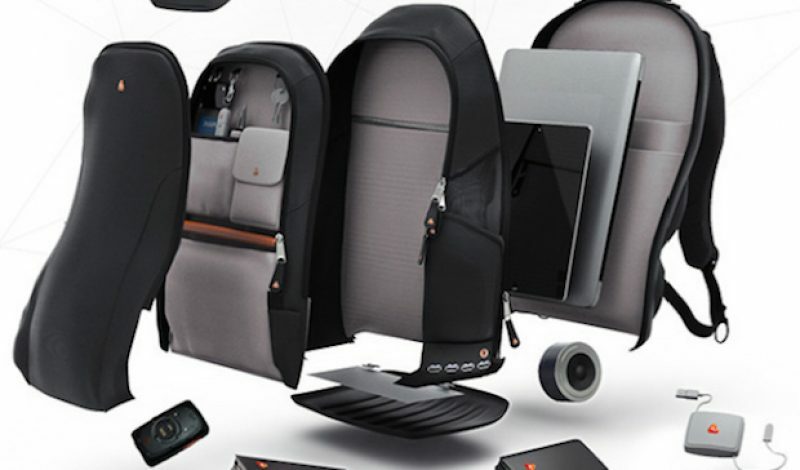 Some version of the bag even come with integrated Wi-Fi hotspots, which use cellular data networks to turn the pack into a portable Internet station capable of connecting up to six people. But even that isn’t all. The designers behind the iBackPack have also created mobile apps for both Android and iPhone (complete with Apple Watch support) that allow users to receive Bluetooth proximity alerts for when the bag moves out of range. The same app is used for tracking the bag’s location via GPS, and for accessing some of its other features too. The interior of the bag also provides plenty of internal organizational pockets, as well as places to store important documents, a camera, some snacks, or just about everything else you’ll need to carry with you. It also has separate sleeves for both a tablet and a laptop, and includes nice touches like key clips, penholders, and generously sized pockets for storing extra cables, memory cards, or whatever else you’ll want close at hand. The Indiegogo campaign for the iBackPack launched last week with an expressed goal of raising $50,000 to get this product into production. The campaign has been so successful that the bag has already received nearly $250,000 in funding with more than 50 days still to go until it is finished. That means that the product is already a success, and the pack should remain on target to start shipping in March of 2016. When it does ship, the iBackPack is expected to start at $249 and range in price to as high as $399 depending on options such as the size of the lithium-ion batteries installed and whether or not it is Wi-Fi hot spot capable. But if you order now as part of the crowdfunding campaign you can get one for as low as $149. For the constant traveler and regular commuter that is a real bargain for what could be the last backpack you’ll ever need to purchase.